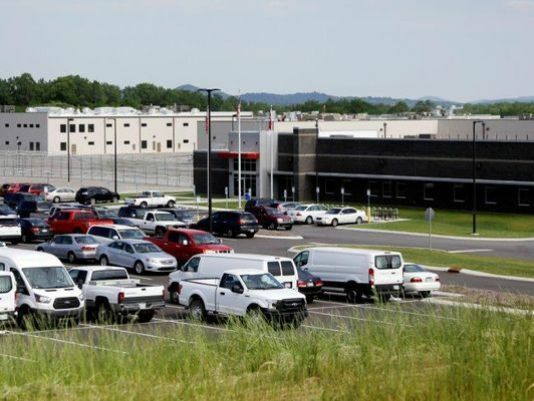 Staffing and vacancy data at the largest private prison in Tennessee cannot be trusted, according to a scathing state audit that raises new questions about oversight of a quarter-billion dollar contract. The audit, released Tuesday, blasted prison operator CoreCivic, previously known as Corrections Corporation of America, for ongoing problems at the Trousdale Turner Correctional Center, the newest and largest prison in the state. effectively monitor the private prison," the audit states. Tennessee House Democratic leaders, frequent critics of private prisons and advocates for additional prison oversight, pounced on the audit findings. House Minority leader Mike Stewart, D-Nashville, said he would support a legislative procedural move to delay department operations until the audit findings are addressed. "Today we have explosive findings. Clearly we have CoreCivic facilities that are a powder keg waiting to explode, potentially endangering the public," Stewart said. "Clearly, the Department of Correction has not been doing its job supervising this contractor, and we have to have a separate, independent agency come in and find these problems." The Tennessee State Employee Association, an organization that represents prison officers and other state workers, pointed to the audit findings to renew its call for Tennessee to end using private prisons. While the audit did find some issues within state-run probation and parole operations — and auditors have previously blasted state-run facilities for many different problems — this audit focused almost exclusively on private prison issues. The stock market reacted to the news as well. CoreCivic shareprices dropped almost 6 percent, closing the day down $1.45 to $22.92, the lowest price all year. A CoreCivic spokeswoman acknowledged previous challenges at the facility and said "we still have work to do" but said the company has made progress since the prison opened. "For example, we’ve significantly increased pay to attract and retain employees, with the starting salary at Trousdale now more than $16 per hour," spokeswoman Amanda Gilchrist said in an email Tuesday afternoon. She said the firm is awaiting the results of a follow-up audit. Department spokeswoman Neysa Taylor issued a similar statement Tuesday afternoon. "We continue to work closely with our government and other partners, and are confident in the progress we have made and the services which are provided," Taylor said. Advocates, inmates, officers and their families have long said the facility is overly dangerous. A former employee previously told USA TODAY NETWORK-Tennessee he felt less safe in Trousdale than he did during his two decades in the Army, which included a deployment during Desert Storm. Part of that problem is a large number of gang-affiliated inmates, advocates and families have said. "Wardens at other facilities asked to transfer inmates to Trousdale Turner might move those with disciplinary issues, inmate compatibility issues, or security threat group (gang) affiliation," the audit states. "When we visited Trousdale Turner, the department was in the process of transferring approximately 40 inmates per day in and out of the facility to reduce the percentage of confirmed gang-affiliated inmates at the facility." Although many of these potentially problematic inmates may have higher security restrictions, Trousdale is classified as a medium-security prison. At the time Trousdale opened, West Tennessee State Penitentiary was in the midst of ongoing violent episodes. Advocates, inmates and other sources say potentially dangerous inmates from that prison and other large prisons were transferred to Trousdale. The audit reviewed staffing and additional documentation for Trousdale, Whiteville Correctional Center and Hardeman County Correctional Center. All of the three CoreCivic-run facilities had issues, but Trousdale's were consistently the most egregious. "A sample of 3 different days in 3 months revealed 44 critical posts unstaffed. We might have identified more unstaffed posts, but our review was limited by the blank staffing rosters," the audit states, referencing Trousdale staffing reports. CoreCivic has a five-year, $276 million contract to operate the facility. Although state law essentially allows for only one private prison, the department is using Trousdale County as something of a pass-through: Trousdale pays the money to CoreCivic after receiving the money from the state. The roughly two-year-old facility has been plagued by problems since it opened. In the first months of operation, Trousdale was forced to stop accepting new inmates by the Tennessee Department of Correction due to a litany of issues. The audit notes some issues may be due to "instability in leadership," observing Trousdale is on its third warden since opening. Every private prison in Tennessee operates with a state employee called a contract monitor. The contract monitor is in place to watch daily operations to ensure CoreCivic is living up to contract obligations. During a recent media tour of CoreCivic, the warden noted that the facility has a contract monitor as evidence there is constant oversight at the facility. But the audit found errors by contract monitors at several facilities, and said department cuts have forced those monitors to have too many job responsibilities. Although CoreCivic officials say they have made improvements, auditors said inmates could be in danger. "While the department’s contract monitoring efforts regularly report the facility’s shortcomings, cuts in monitoring staff may have reduced the department’s ability to effectively monitor key contract requirements," the audit states. "This lack of effective monitoring has resulted in situations that may undermine the department’s ability to achieve its stated mission and could result in harm to inmates." This points to willful negligence or sloppy operations by the department, Stewart said. "If they’re not able to do what they’re asked to do then we have a systemic problem. I don’t know what the motivation is. What I know is we have a department that has either been incapable of doing its job properly or has elected not to do its job properly," Stewart said. The department agreed with most of the audit findings, but objected to accusations staffing data is inconsistent or potentially inaccurate. "The Department of Correction works daily with CoreCivic to support consistent staffing patterns and gives thoughtful consideration to any proposed staffing changes," the management response states. The audit will be addressed Wednesday morning during a meeting known as a "sunset hearing." Every year, the state legislature reauthorizes every state department, a process that in theory allows for oversight of operations. While Stewart and Nashville Democrat Bo Mitchell say they will oppose recertification, the effort is almost assured to fail. Morever, even if the department were not recertified, that would open the door to privatizing the entire system, a move Democrats oppose. These sites are part of the USA TODAY NETWORK. Their content is produced independently from our newsrooms. Reap the benefits of being a (free!) registered user.